I suppose that I have been lucky. No travel delays until yesterday. 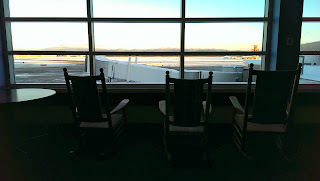 I wandered about the airport, where I was stranded, and eventually found a bay with rocking chairs looking out towards the snow-dusted Green Mountains of Vermont to the east. 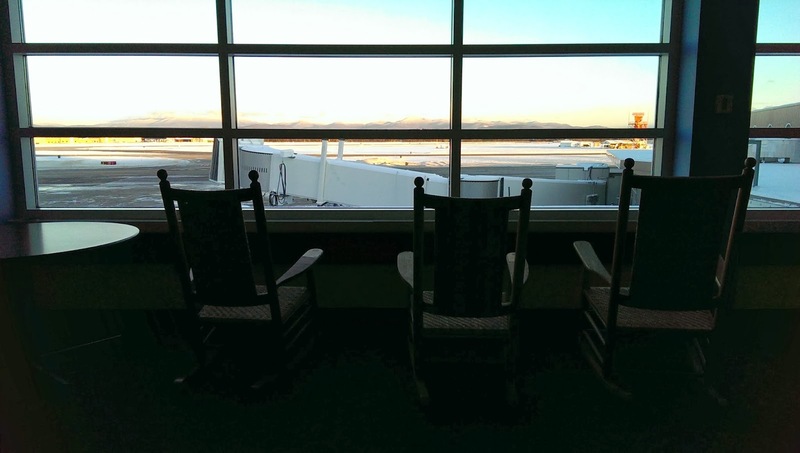 I’m a sucker for rocking chairs and airports. 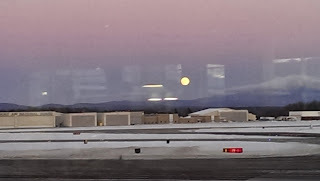 I arrived by bus traveling from Boston to Montreal to the news that our replacement driver to take us on to Montreal from Vermont had a mechanical failure on his bus somewhere north. 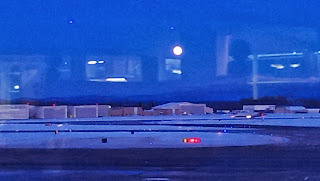 We would be stranded for five or so hours at the Burlington Airport. Off I went walking about, exploring the floors and views. As a child of four, I celebrated my birthday in the Sky Room Restaurant at the Denver, Colorado Airport. I remember the day clearly as my finger got squished in-between the table and my high chair and I wept. From the corner of my memory eye, I see a plane through the tall window moving by and at precisely that moment a little cake being set in front of me. Crossing of loves: planes and cake. Once upon a time I wanted to be a stewardess on planes. Good thing that my family from all sides has short genes. By all airlines I was judged too much of a short-stuff to be of use on a plane. I doubt "pilot" would have been available to me either. I went to college thinking about studying marketing in the hopes of one day working for an airline. I just wanted to travel and be around that jet-fuel smell. In the 1980’s and again some years later there was a study asking people their favorite smells. 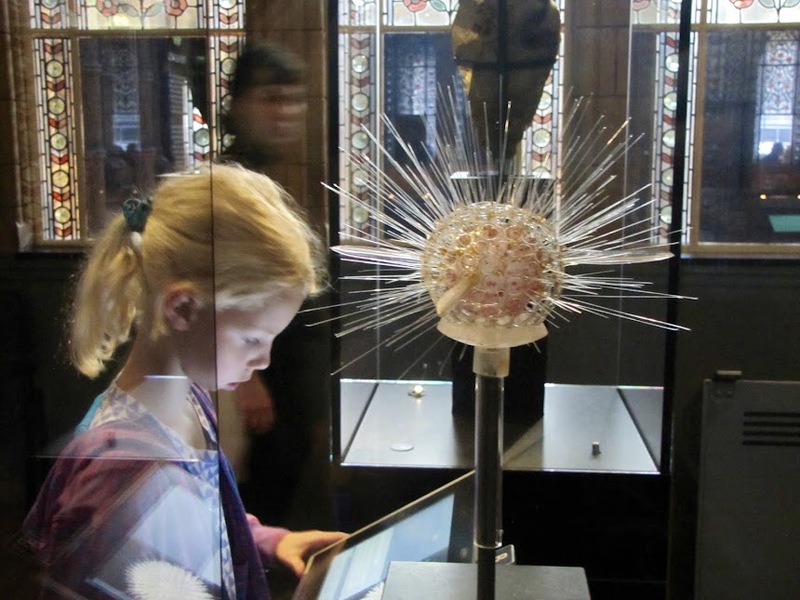 Over time there was a shift from natural scents, like roses and fall leaves, to the smell of chemicals like those of Playdoh and oil on rain-washed roads. I must have been ahead of the time. 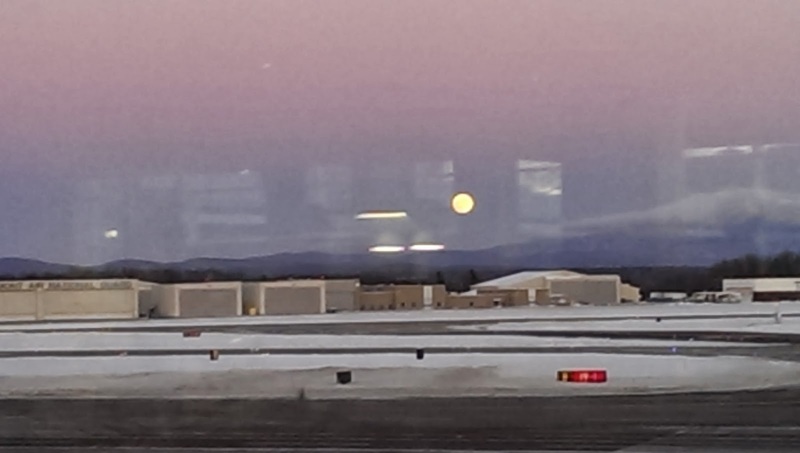 So here I am at an airport watching for planes when I got a little surprise. 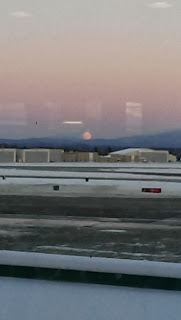 Off above the hills a little sliver of moon rose. And rose. 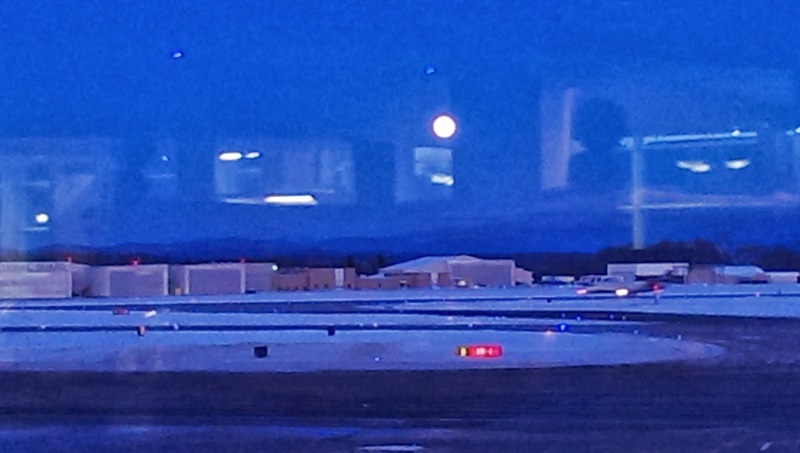 The lights on the runway began twinkling like Christmas lights laid out for our pleasure for the holidays and the sky turned a deep satisfying blue. 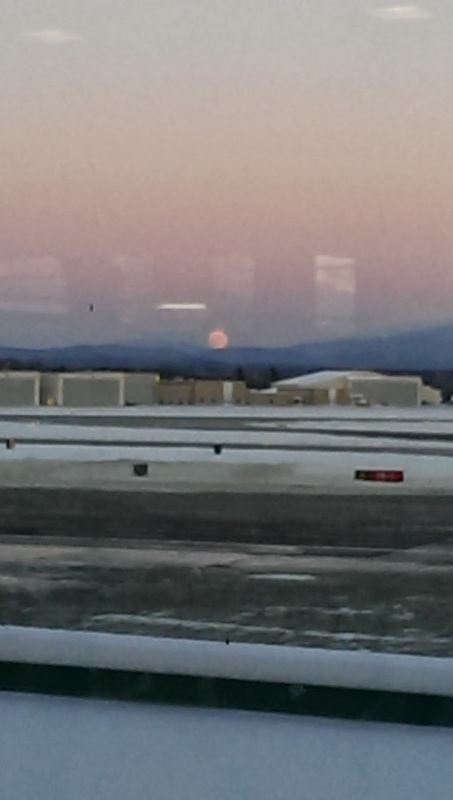 I felt quite lucky to have gotten a mechanical failure from which a moon rose.